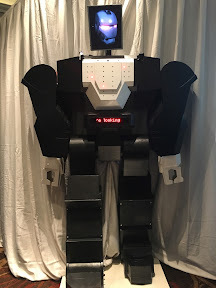 A drinks serving robot and Brazilian dancing girls helped Scotland’s bars and pubs celebrate in style at the Scottish Bar and Pub Awards. 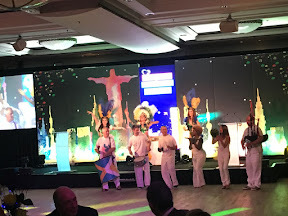 The gongs were out in force as Scotland 's longest running licensed trade awards celebrated its twenty first anniversary last night (Tuesday August 16) into the Wee small hours with more than five hundred guests from the trade at Glasgow’s Hilton Hotel. 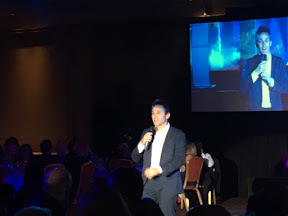 Leith born businessman Kevin Doyle, owner of Edinburgh's Dome, who has over £100 million invested in the licensed trade, picked up the Flow Entrepreneur of the Year award while bars and pubs from around Scotland picked up the accolades, and received a bespoke Glencairn Crystal Trophy. Joyce Arbuckle, director of sales at The Kingsmill in Inverness picked up the accolade Benromach Award for Success, while Glasgow’s Pot Still scooped the Wee Dram Whisky Bar of The Year. 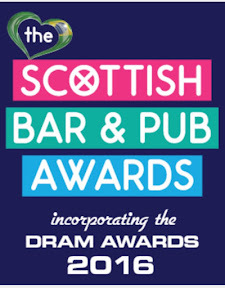 Six other Glasgow establishments won awards too: Blue Dog's Matthew Ronald and Chris Ryder stealing Disaronno Cocktail Bar of the Year while Bar Bloc+ in Glasgow won Kopparberg Independent Bar of the Year and The Atlantic took the honours of The Wee Guide Best New Bar and Restaurant. The Ben Nevis in Glasgow was highly commended in The Dram Dog Friendly category. 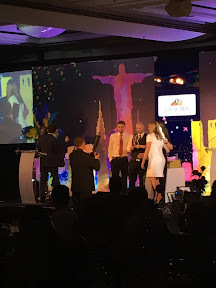 Loren MacGregor of The Busby Hotel in Glasgow was given the title of Mixxit Bar Apprentice of the Year while Boclair House in Bearsden, owned by Manorview, received the Glencairn Crystal award for Best New Venue. Rose Woolen and Lewis Jenning of Manorview Hotel and Leisure Group, based in Howwood were also presented with the Bright Signals Social Media Award on the night. Ayrshire bars also received recognition on the night with Stewarton's The Mill House picking up the BII Customer Service Award and Seamill Hydro in West Kilbride winning the Inverarity Wine By The Glass Award. And Lanarkshire's Lisini Pub Co was awarded The Family Run Business of the year with Harry Hood, Lisa Wishart and the Lisini team collecting their trophy. In Dundee, Gallery 48 took the title of Caledonian Brewery Innovative Business of the Year and nearby Kirriemuir bar The Airlie Arms was rewarded with the Tennent's Quality Award. Speedwell, Old Anchor and The Royal Arch publican brothers Jeff and Jonathan Stewart from Dundee received a Lifetime Achievement Award. The Sunday Mail Pub of the Year award also went to Broughty Ferry pub The Anchor and a delighted Jeff Stewart and his team collected their unique mirror prize. Balquhidder business Mhor 84 celebrated winning Critic's Choice Gastro Pub of the Year and David Taylor and Jemma Anderson of The Wheel Inn in Scone received the Diageo Award for Social Responsibility and Community. Lochgilphead venue Lord Of The Isles also barked with joy at receiving DRAM Dog Friendly Bar of the Year. Molson Coors Craft Beer Bar of the Year went to Edinburgh bar Ox 184 and Isle of Arran Distillers awarded Island Bar of the Year to MacGochans of Mull. Edinburgh cocktail bar Badger & Co was also highly commended in the Disaronno Cocktail Bar of the Year Category. Four industry personalities were also inducted into the Scottish Licensed Trade HALL OF FAME - David Brown, Kathleen Hood, Alasdair Moore and Caroline Wright.